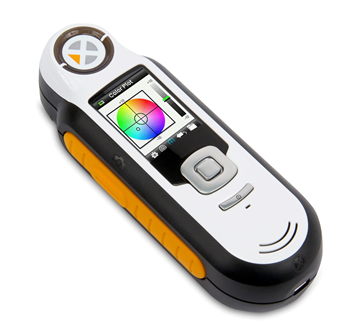 To measure colors digitally for design references and further into correct QC quality controll. The need to "capture the color digitally" when you are on trend trips or fairs is part of how design can now get inspiration in real color samples and save them digitally in their Capsure where preselected color systems are pre-programmed (choose between Pantone / NCS / RAL). 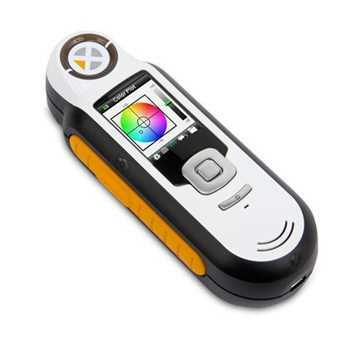 In the next step, you need support for production when you have to approve color samples, then we have another tool that professionally measures the color difference and describes it with technical data that your producer understands. So you don't have to describe labdips as "too light or too red" but can supply spectro curve that describes what technically differs in color. Do you want to know more? Welcome contact us.